For almost 30 years, Philip Levine has been an integral member of the Miami Beach community. 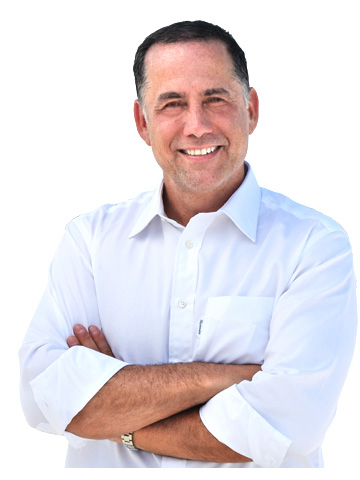 Over the years, Philip has established a number of successful Miami Beach-based businesses, creating hundreds of job opportunities for local and area residents while contributing to the city’s tax-revenue base. Because he believes in making a difference, he’s also an active member of local philanthropic organizations. Once Philip had grown Onboard Media into an $85 million company, he partnered with Berkshire Partners to acquire Starboard Cruise Services. The successful merger resulted in the world’s largest duty-free and media partner in the cruise industry, with a revenue of about $400 million. In 2000, Philip sold the company to Louis Vuitton Moët Hennessy, creating the largest cruise industry concessionaire/partner in the world. The Onboard Media headquarters is still based in Miami Beach, just off of Lincoln Road. Currently, Philip is CEO of Royal Media Partners, an exclusive partner of Royal Caribbean Cruises Ltd. From its Alton Road offices, Royal Media Partners handles the creation of all the media for Royal Caribbean International, Celebrity Cruises, and Azamara Club Cruises ships sailing in the Caribbean and Alaska. Philip is actively involved with the Clinton Global Initiative, an organization that implements innovative solutions to the world’s most pressing challenges. He is also on the board of directors for Best Buddies International, the Miami-based nonprofit organization that creates opportunities for people with developmental disabilities. In 2010, Philip was tapped by President Obama’s Secretary of Commerce to serve on a Task Force advising on U.S. tourism. Through his work on the Task Force, Philip is working to strengthen the nation’s growing international tourism industry—which in turn strengthens our economy. Philip Levine was born in Boston, Massachusetts, and moved to South Florida at the age of 10. He has called Miami Beach his home since the late 1980s. He is a graduate of the University of Michigan, where he earned a degree in Political Science.